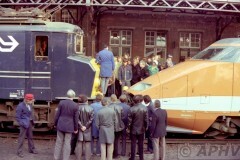 With help off everybody it seems to succeed. 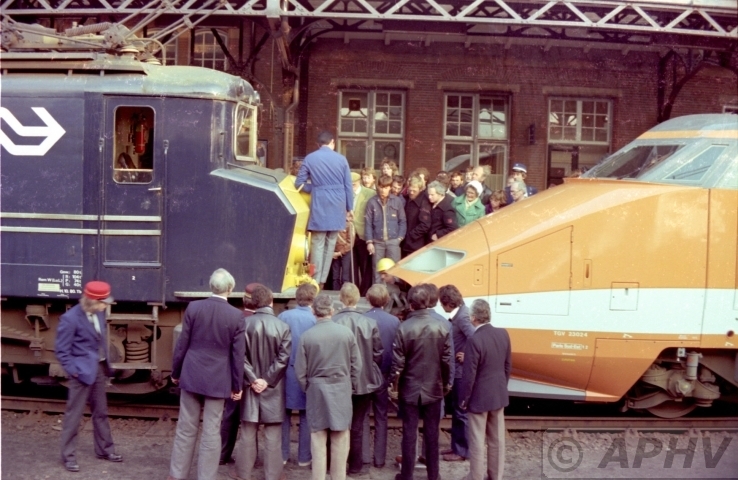 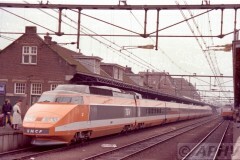 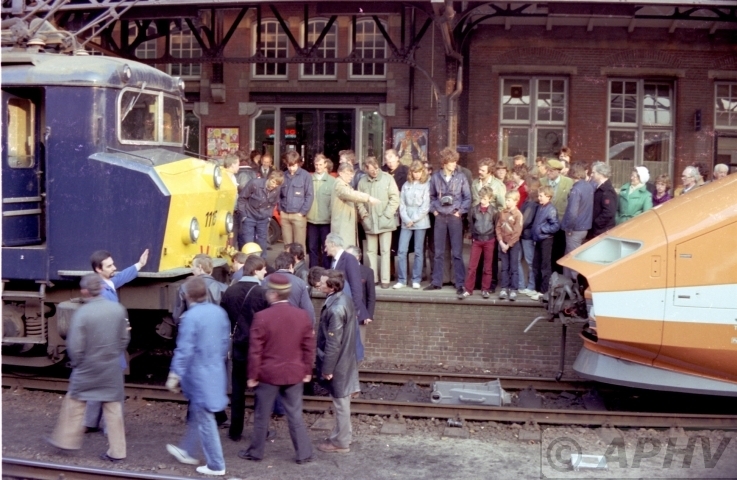 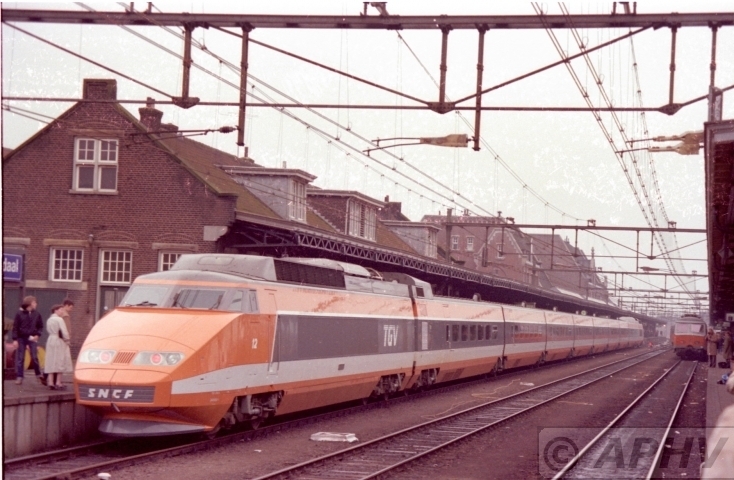 27 April 1981 Roosendaal. 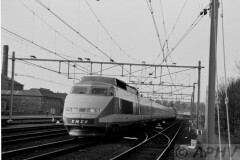 NMBS elec 2604 shunts returnes to Essen after bringing in the TGV set. 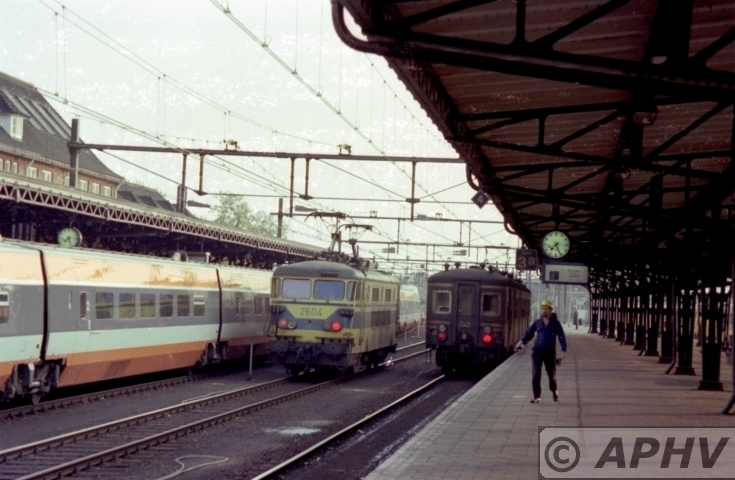 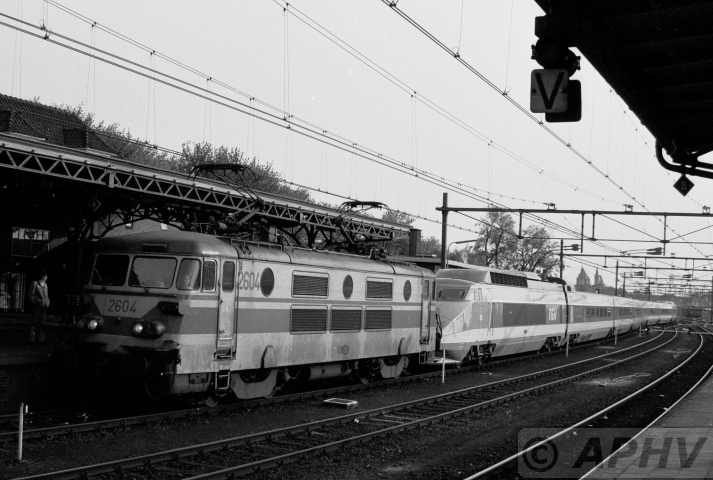 In contrast is the old electric emu 043 on the right forming the local (Omnibus in that time) to Antwerpen-CS.